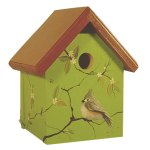 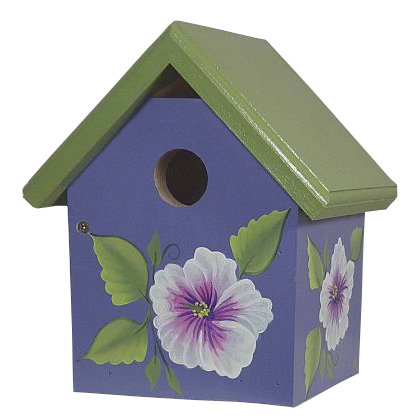 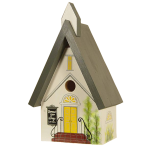 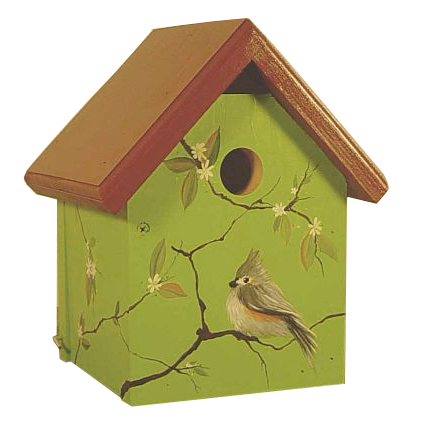 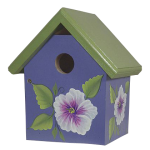 Wild bird houses, hand painted and Made In USA. 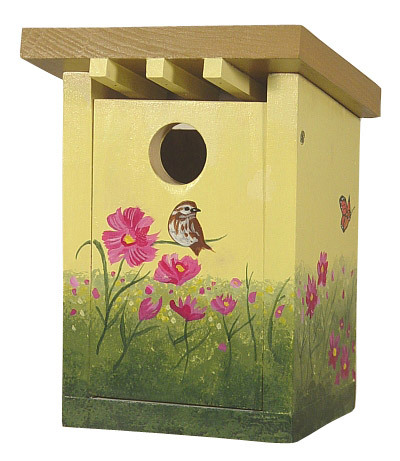 Durable and sturdy construction of untreated first quality 3/4” pine is covered with two coats of durable, outdoor sealer. 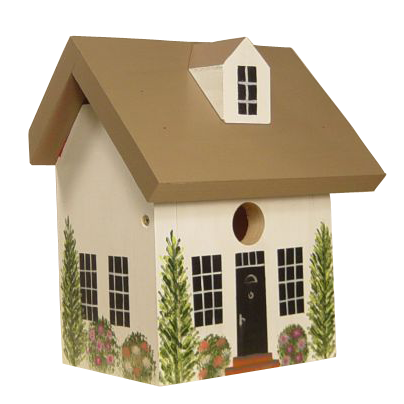 The wild bird house designs are also very functional: extended / sloped roofs, drainage holes and ventilation vents. 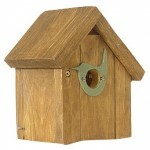 Easily accessible for cleaning and maintenance. 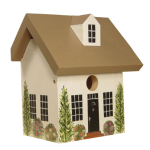 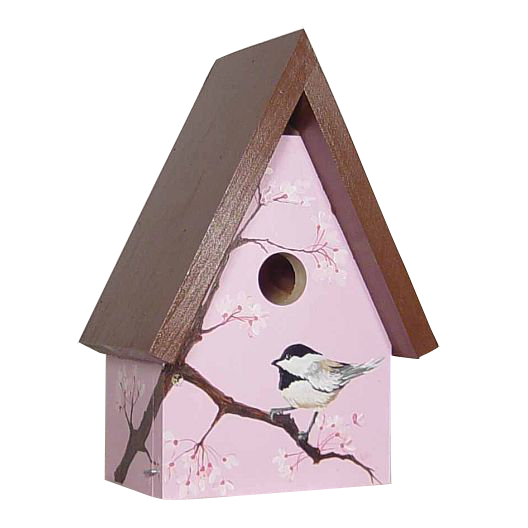 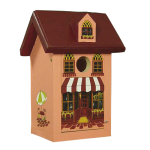 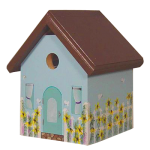 The back of each bird house is thoughtfully and expertly designed for easy mounting with hooks that are included. 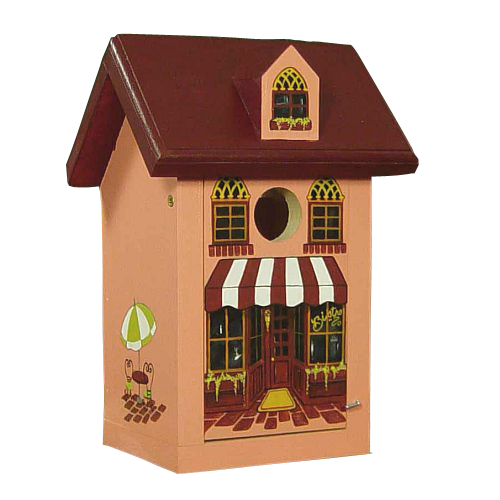 Our collection varies due to availability, so stop in and see the newest arrivals! 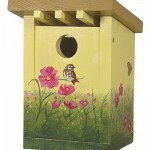 Welcome generations of new tenants to your backyard! 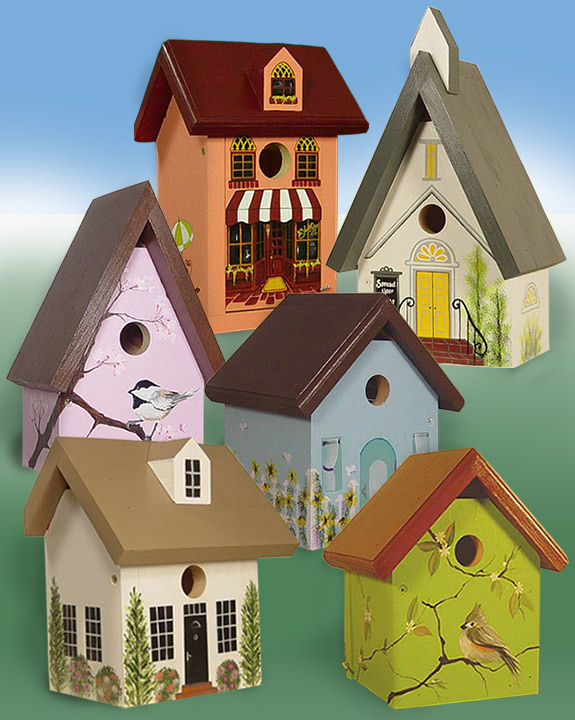 Each of these hand painted wild bird houses is built and hand painted in the historic and picturesque Lehigh Valley of Pennsylvania. 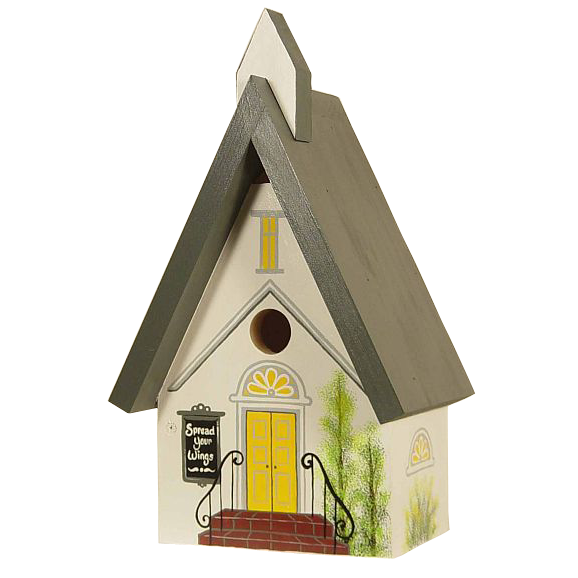 The charming exterior imagery is painted with care and attention to detail by women in the Mennonite community. 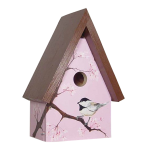 If you are looking for an affordable unique gift that combines nature, aesthetics and easy maintenance, that will brings unlimited potential for joy, this may be it. If you are especially interested in attracting Bluebirds, The Backyard Naturalist especially recommends check out this Bluebird nesting box (pictured above in gallery). 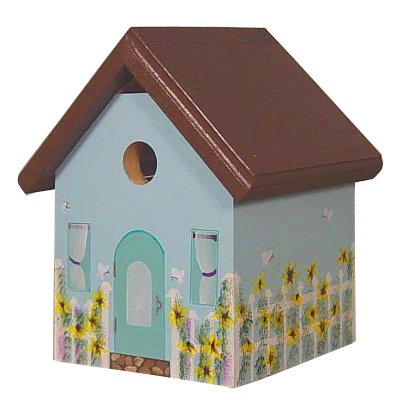 It’s approved by The North American Bluebird Society.